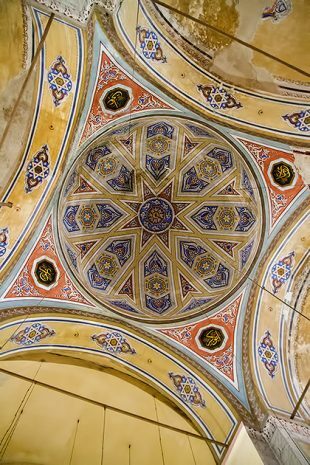 Located in the neighborhood of Çarşamba, just up the road from the Yavuz Selim Camii, the Fethiye Museum preserves some of the best Byzantine mosaics in Istanbul. It’s small and difficult to reach, so most tourists skip right over it in favor of the similar and better-known Chora Museum. 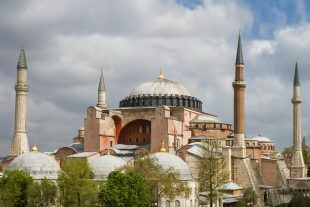 The Hagia Sophia isn’t just the best-known tourist attraction in Istanbul, or one of Europe’s most cherished landmarks… it’s one of the greatest buildings in human history. 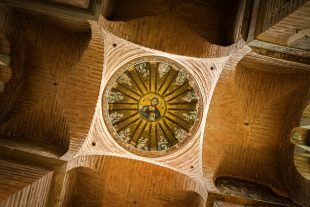 This church, nearly 1500 years in age, was once the center of Byzantine faith, later reborn as the predominant mosque of the Ottoman Empire, and today has found a new purpose as one of the world’s most popular museums. 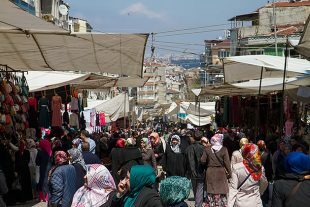 Çarşamba is a neighborhood in Istanbul, and also the Turkish word for “Wednesday”. 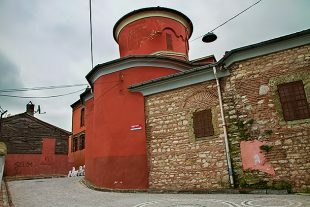 Now, what do you suspect might be the best day to visit Çarşamba? 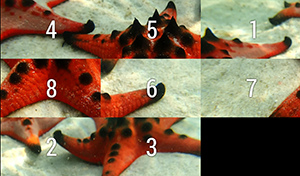 You get one guess! We spent a long day walking along the southern coast of the Golden Horn, from the Atatürk Bridge to the ancient Jewish quarter of Balat. This is an older, quieter side of Istanbul that not enough tourists see, although it has a number of interesting sights, including some beautiful churches. 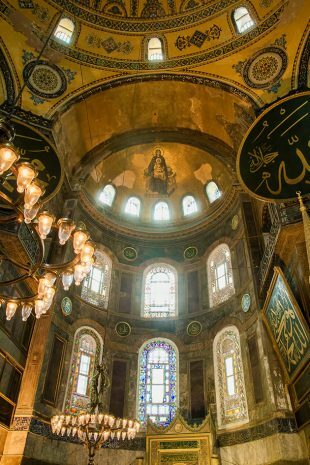 Istanbul has no shortage of old churches and mosques, and it can often feel like too much of a good thing. As our time in the city progressed, we would increasingly find ourselves saying something like, “Honestly, I think we’ve visited enough mosques”. But what are we going to do? Simply ignore something as amazing as the Gül Camii? Stretching for six kilometers from the Sea of Marmara to the Golden Horn, the Land Walls of Theodosius II protected Constantinople from invaders for over a thousand years… until the arrival of the Ottomans and their giant cannons in 1453. 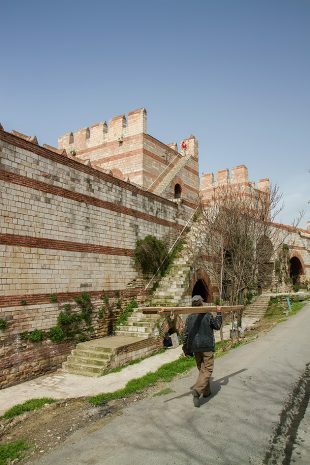 The walls have survived largely intact to the present day, and walking along them is an exciting way to see a different side of Istanbul.